Are you surprised? So, the bad news is that The Last Guardian will miss TGS. Again. The good news is that the team is apparently "making great progress." When Eurogamer asked Sony exec Shuhei Yoshida if The Last Guardian will be at this year's Tokyo Game Show, he replied, "I don't think so. "Sorry." The Tokyo Game Show gets underway next month in Chiba, Japan. When pressed as to when the game will be shown, Yoshida replied, "When we are ready. I cannot confirm any timing because we are waiting for it to be in a state where we are happy that this is the game. We have a certain time frame in our mind, and the team is making great progress, but still not to the point that we can say that, here you go." This is in line with what Sony said in 2013, when it stated it was waiting for "the right time" to show the game. Yoshida added that the game has been "totally re-engineered." According to him, "They're still working on it. I've been seeing the progress." The Last Guardian was announced back in 2009, and Kotaku saw the game back in 2011. 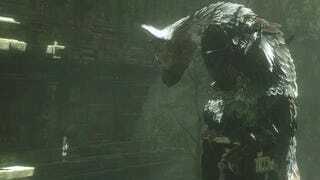 The game, however, still hasn't seen release, and there were rumors earlier this year that The Last Guardian had been cancelled—rumors Sony denied.